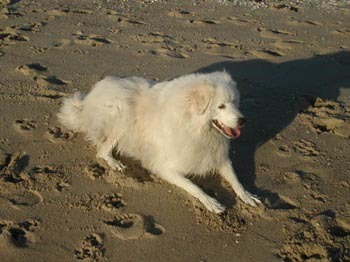 and GIANNI owned by John and Julie Ellis. 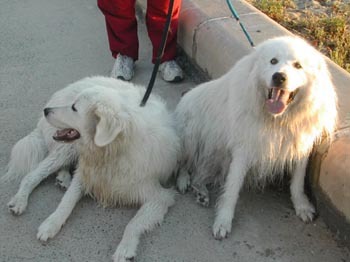 Indii and Gianni are living a pretty unusual Maremma exsistance. 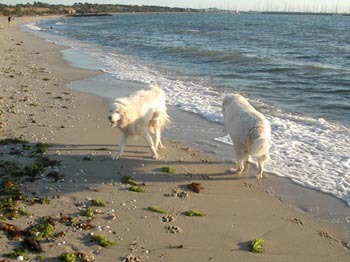 They live in the beachside suburbs of Melbourne....caring for their flock of people! 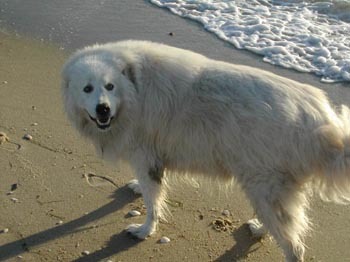 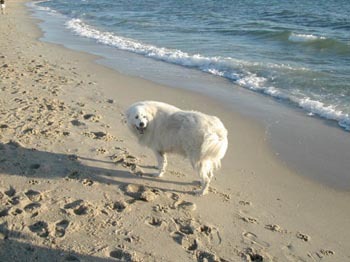 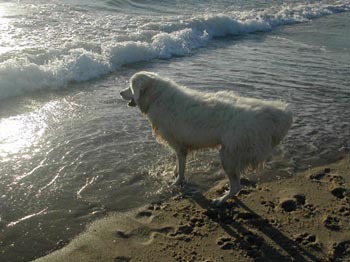 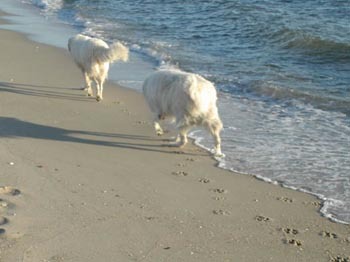 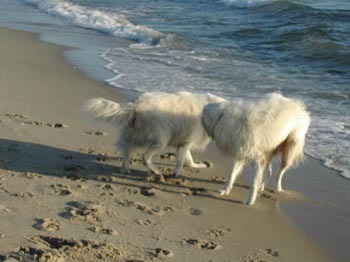 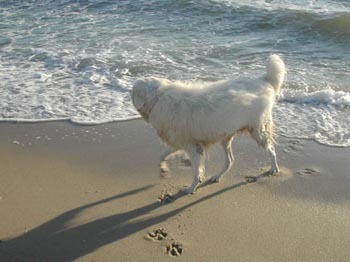 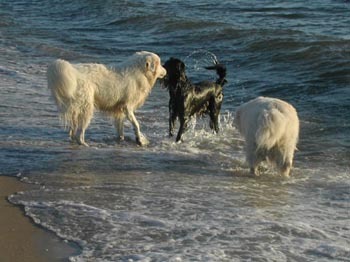 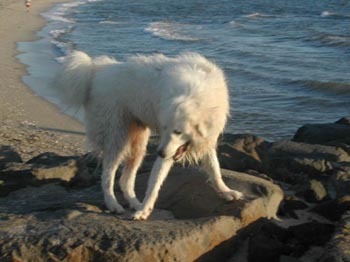 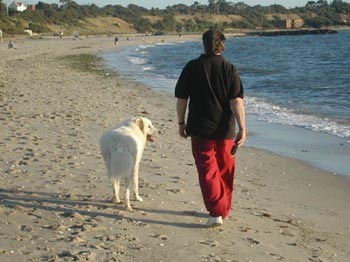 These photos were taken on a typical romp along the beach for them.....and they're beaming that true Maremma smile. 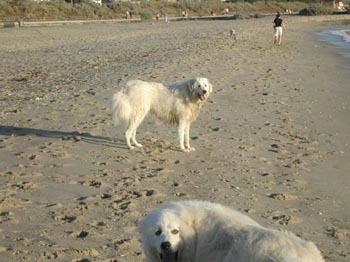 See Indii...this is what happens to Maremmas that sun bake like you do - they get burnt! 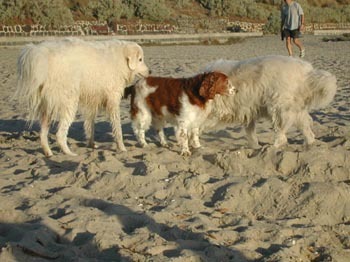 Now do you think I could make it all the way to Italy? 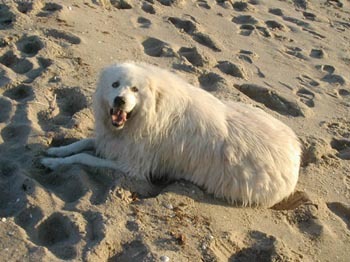 No matter how much I lie in the sun...I'm STILL WHITE!